One of the things I like about designing is that you can create a basic design and then use it in many different ways. This card is made from the same file as the card I posted yesterday but it has a totally different look. I think it would be great for a graduation card - use the school colors to coordinate the look. Here is a photo of the first card - just to make it easier to compare. 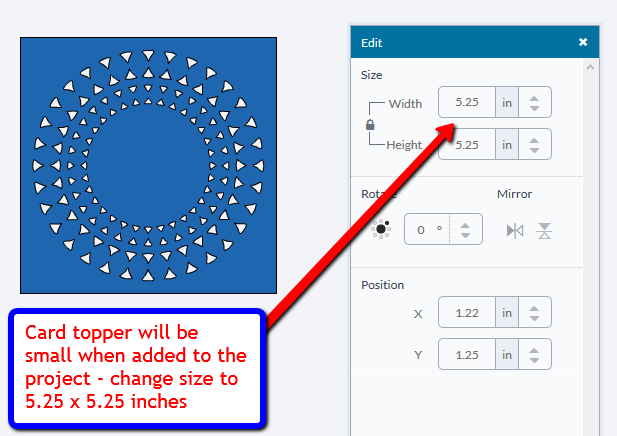 I am sharing the SVG file for this card topper - you can add as many circles as you like to change to look of the card (some below the topper to show through the cuts and some in the center). 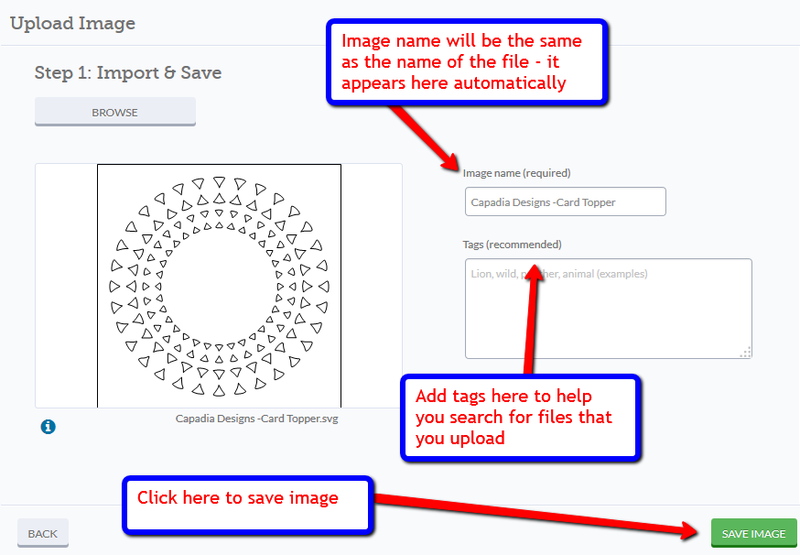 If you are using the Cricut Explore and Design Space, you will need to upload the file to Design Space. If you use a Silhouette machine you will need the Designer Edition of the software to open this file. You can also use this SVG file with other software programs and machines. 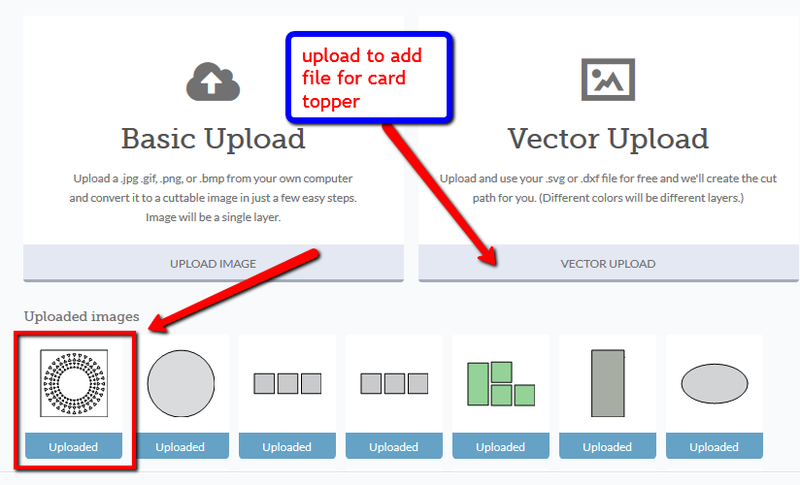 I am including some screenshots to show how to upload the file to Design Space. 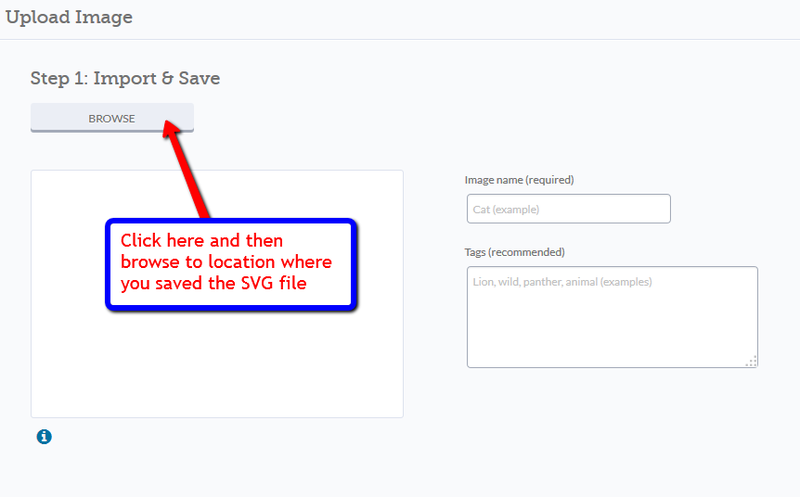 After you download the file and save it on your computer, choose "Upload Image" on the left side of the Design Space screen. This screen will appear. Click on Browse and then find the location where you saved the file on your computer and select it. Once you select the file to upload it will appear on this screen. The title of the file will automatically appear in the "image name" box. You can add tags if you would like - they will help you search for the file later. After you add your tags, just click on the green button to save the image. Select the image from the list of uploaded images, click "Insert Images" and it will appear on your mat. It will be black and smaller than it should be. You can resize it to whatever size you like - to make the same size card that I made, use the edit menu to change the size to 5.25 inches. As long as the lock icon is closed, you just have to type 5.25 in one box - the height or width will change automatically. 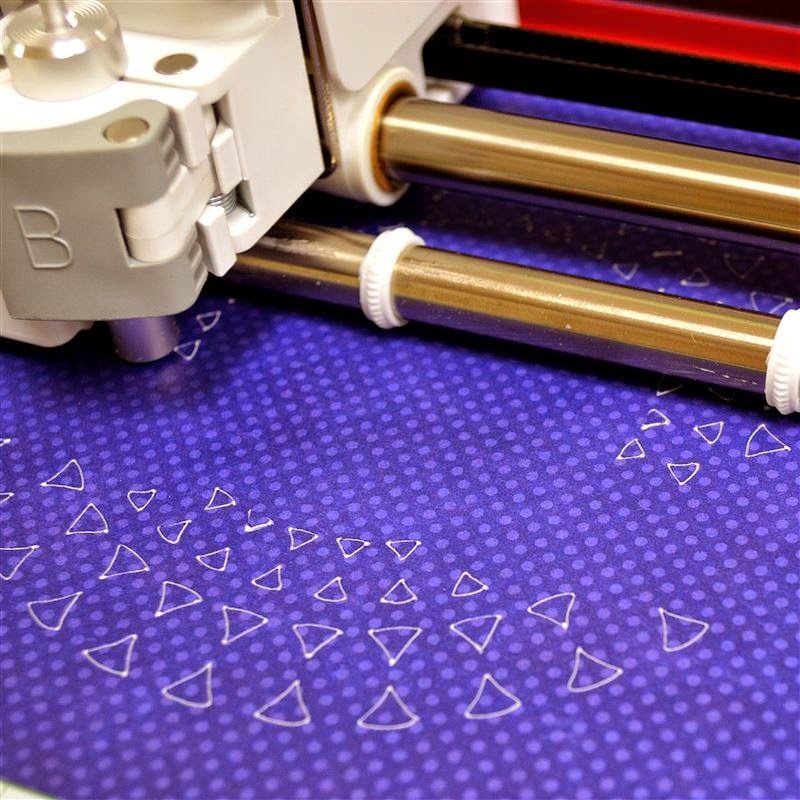 I can't make any sense of the order that the machines use for cutting shapes. Sometimes they seem to go top to bottom through the design but this shape cut in a random sort of pattern. I cut two of the toppers and the Explore did a great job with the file. The red cardstock at the top was a thick one from Martha Stewart and most of the cut out shapes stayed on the mat. 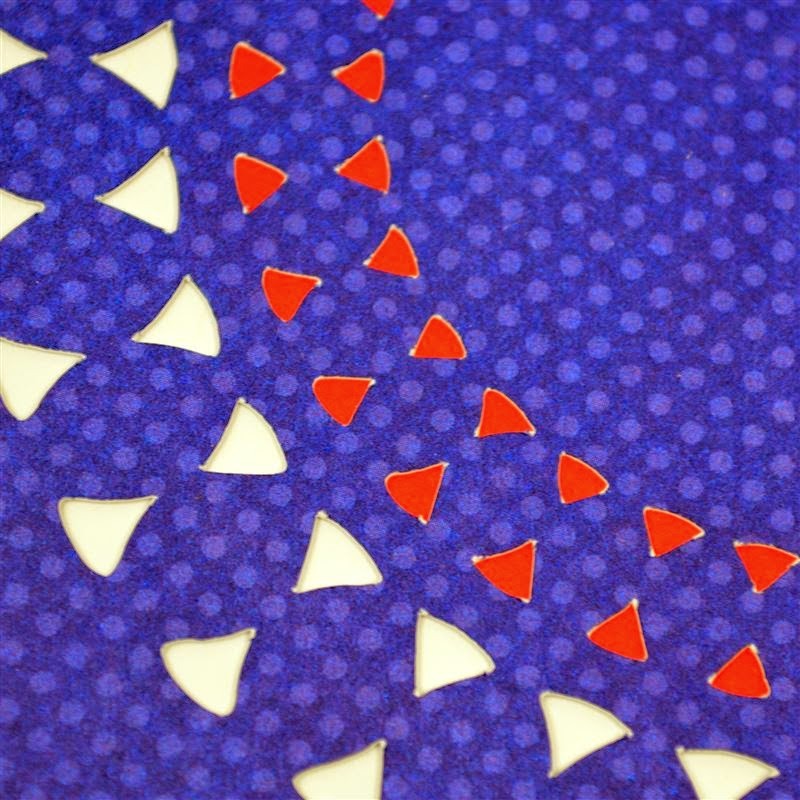 The thinner blue cardstock cut nearly perfectly and lifted cleanly with only a couple of small triangles stuck to the cut (they brushed off easily). The cardstock I used for the topper was a white core DCWV from an older Winter stack. The white core is not very noticeable when there is a white card base below but it really shows up against the red layer behind the inner circle. I don't like to ink too heavily on the front of the card, so I turned the topper over and used a blending tool with some Distress Ink in Chipped Sapphire to color the edges of the inner cuts. I also inked the four sides of the topper. 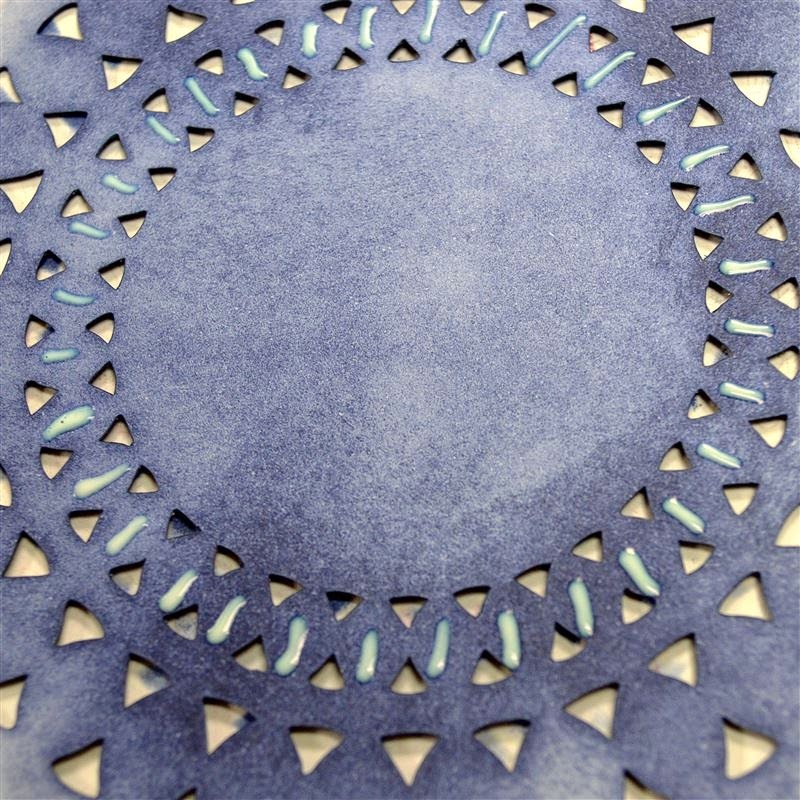 After inking, I added a line of adhesive to each of the oval sections in the inner ring. 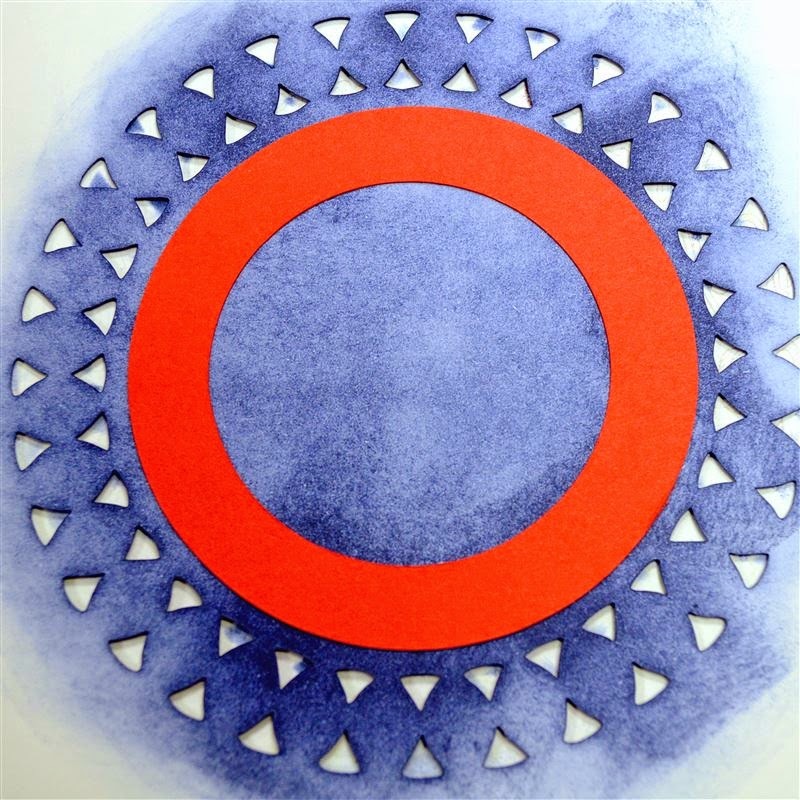 I cut a ring of red cardstock by cutting one circle inside another one. You can add circles and play with the colors while you are working with the file in Design Space. I adhered the ring to the topper and then it was ready to add to the card base. 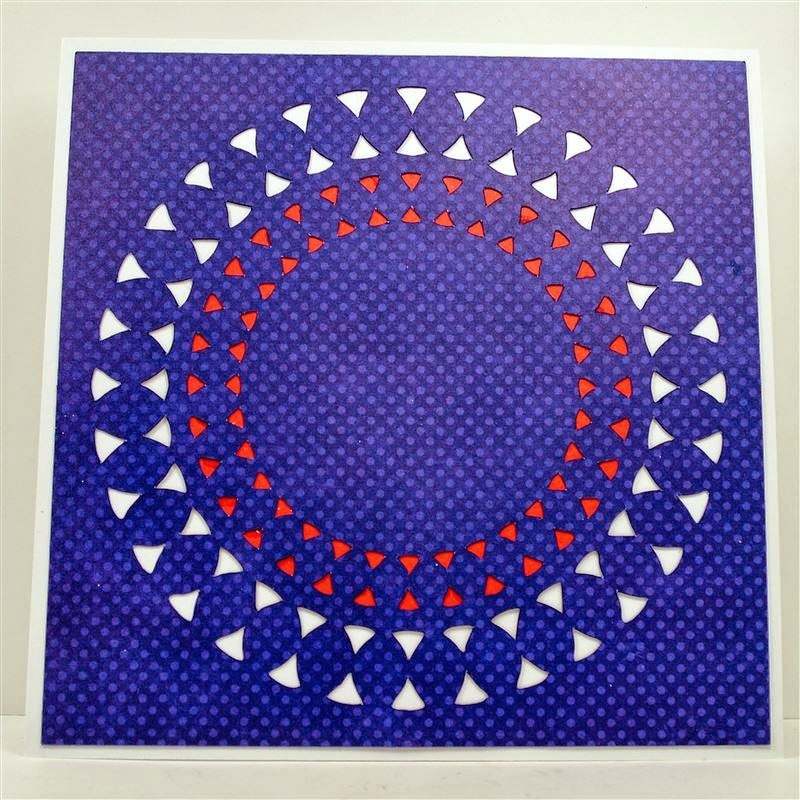 The card base is 11 x 5 1/2 inches, folded in half to create a 5 1/2 x 5 12 inch square card. You can change the size to suit your project. Here is the card with the topper and backing layer added. Now you just have to decorate the center. 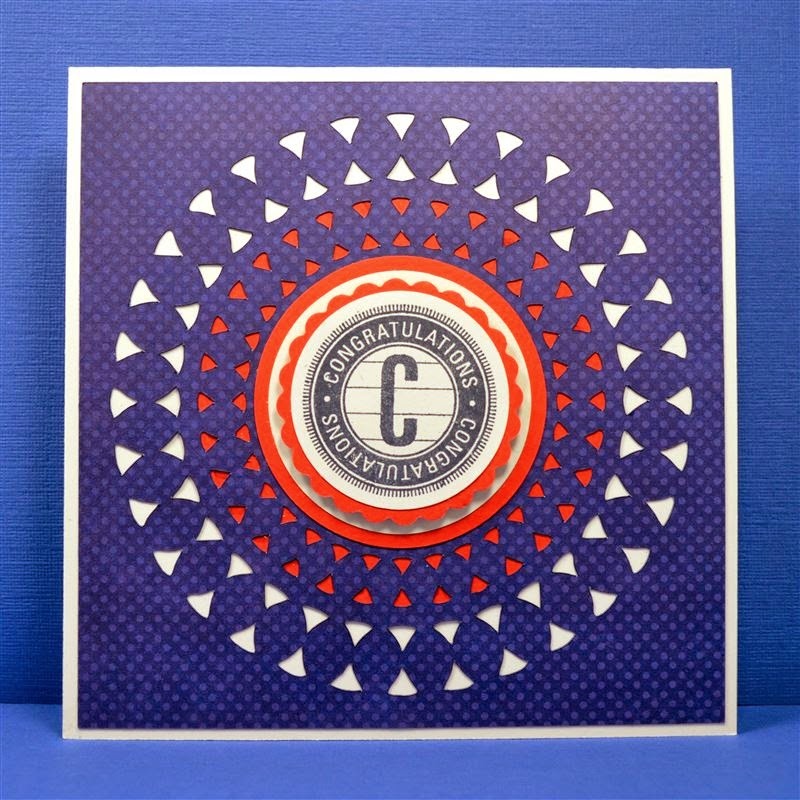 I wanted to use this circular stamp that says "Congratulations" for the center. 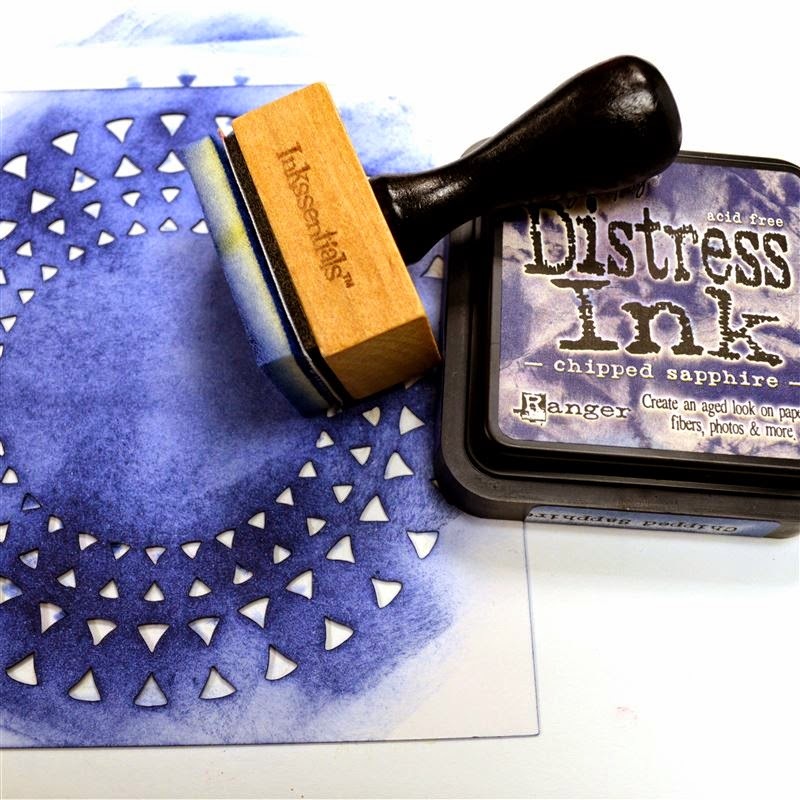 This stamp set is from Close to My Heart and it is part of the Art Philosophy Cricut Collection Bundle. You can find this on my friend Joy's CTMH website HERE. 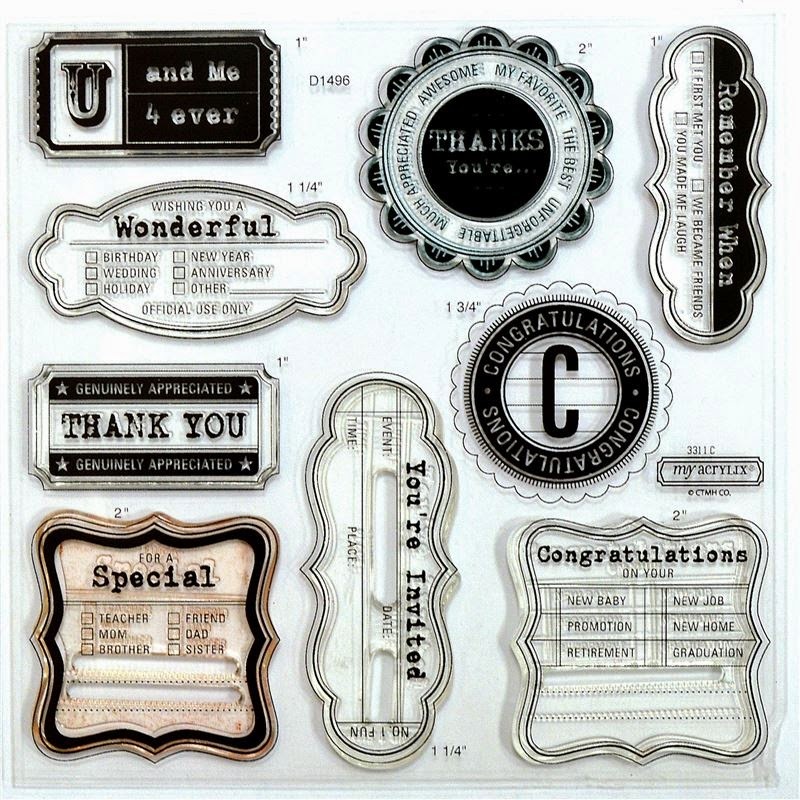 I find it a little tricky to stamp on a circle that is already cut so I stamped the "Congratulations" circle on white cardstock and then use a 1 3/4 inch punch to punch it out. You can look at the edges to center it very easily this way. 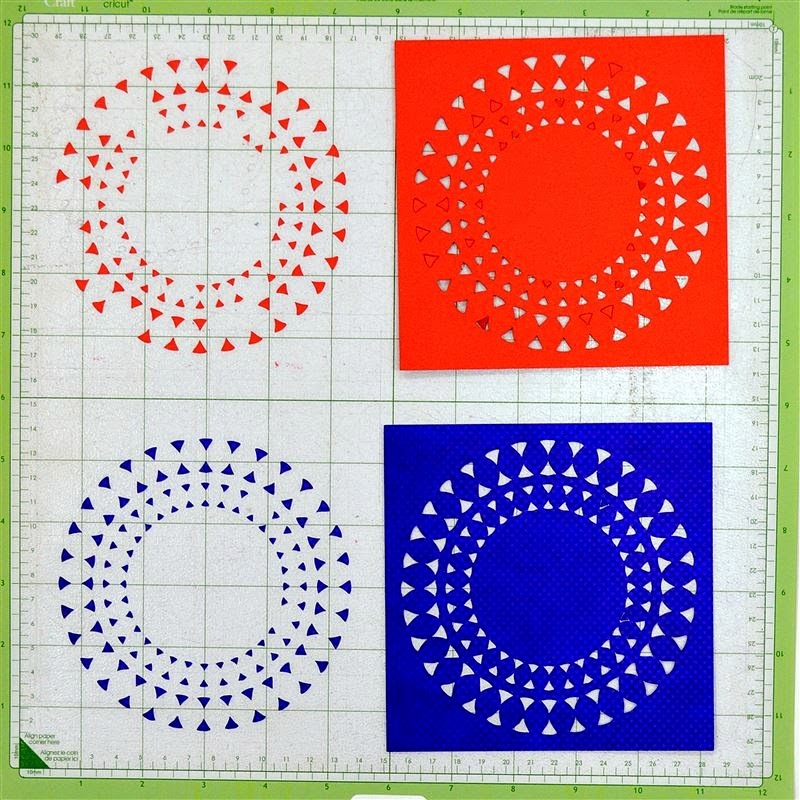 This is my largest circle punch so for bigger stamp images, I do cut the circles with the machine and stamp on the cuts (I just make extras to account for bad stamping!). I added a two inch punched scallop circle behind the stamped circle and used thin foam dots to raise it up just a bit. 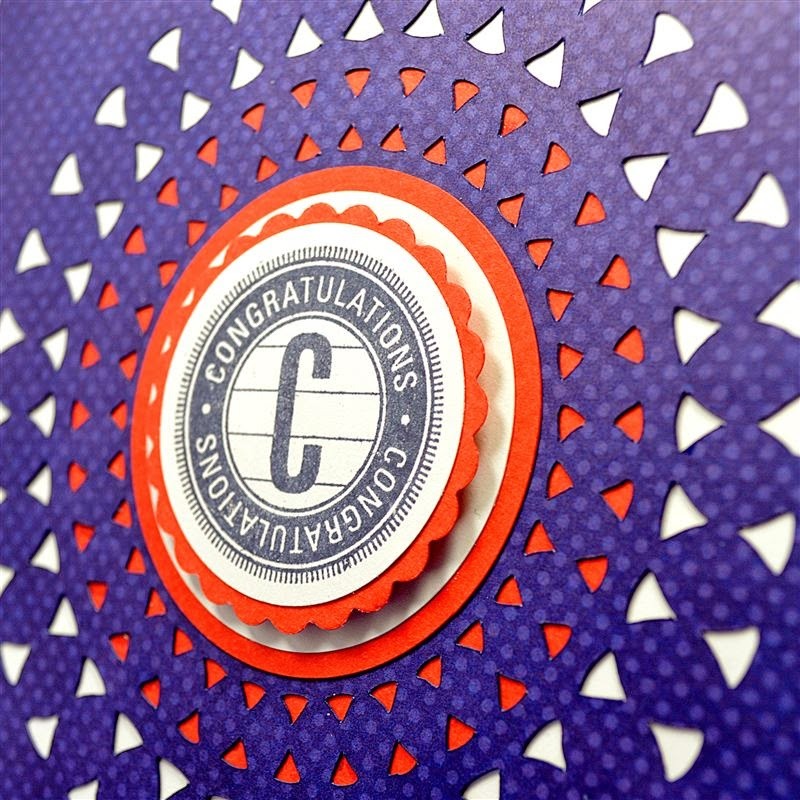 I cut two more circles, one red and one white, and layered them directly on the card front. 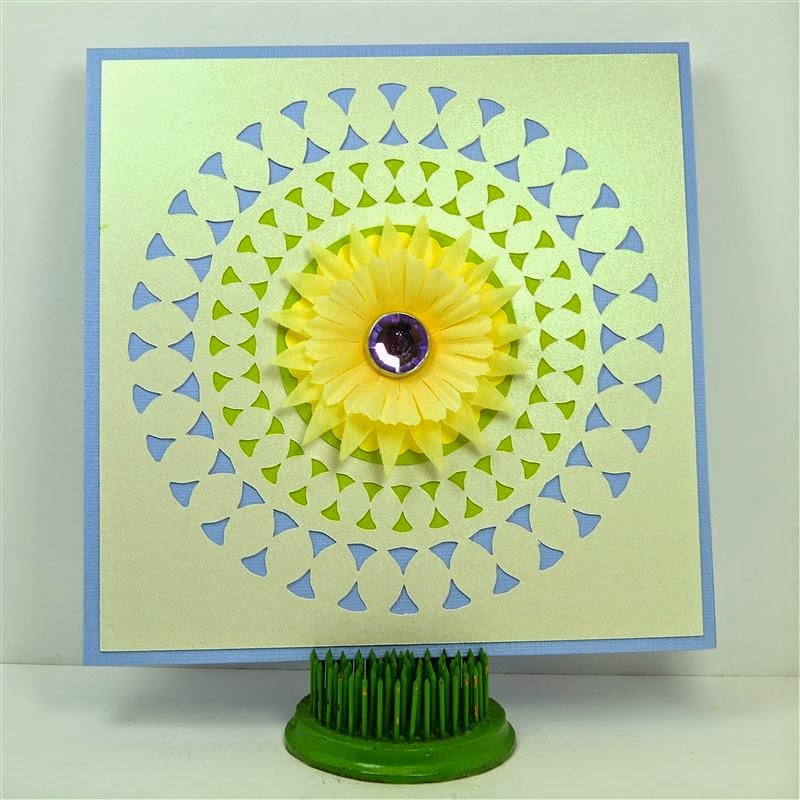 Try all sorts of combinations of circles and stamping or add a different shape to the center of the card. The possibilities are endless. You can download the SVG file HERE. I'd love to see how you adapt my design for your projects. I hope that you have a lovely holiday weekend (if you are in the US). I know that everyone around here is really ready for summer to arrive! Thank you, this will be fun to play with. I love your two examples. Thanks for the nice compliment. I'd love to see what you make. Soon I will be able to cut and post the design that these pieces came from - I just need more time to do test cuts! Thanks for sharing, Diane! Have a great weekend! You are very welcome - enjoy your weekend! Diane, I usually receive your posts via email but haven't received any since May 7th. Is there a problem or have you stopped sending the emails? I miss seeing your posts in my in box. Thanks! Hi - I do still have the feedburner email list set up but there have been problems (not just for me - many other bloggers have not had their emails going out properly). I am setting up another system for sending emails and I will post on the blog so you can sign up for the new system. I did take a few days off while we were visiting family in California and Colorado so there was not an email every day. Thanks! I don't check my email or blogs daily so it's nice to have the message waiting for me when I do log in. I look forward to the new system. What a difference the paper makes, love that. Thank you for sharing the file...can't wait to try it out. Have a great weekend. It really is amazing how the same design can look so different. Have fun with the file - happy to share. I hope you have a great weekend too! I have also had a problem receiving your emails. When I tried to sign up again the system tells me I'm already subscribed, I really miss your email. Hope the problem is fixed soon. Hi Barb, Thanks for letting me know. I am working on the changes. This all started shortly before we went to visit family and I was not able to spend time on changing things while we were away. It should be fixed soon but you might have to resubscribe to the new service if I can't carry everyone over to it. I don't know why it changed - very frustrating for a lot of people. I hope you are having a good weekend. Thank you for covering my question on using the Explore. I will try this soon. Hi Ronda - Happy to help. Be sure to let me know if you still have any questions. I love your designs and helpful tips. Thank you for sharing. Hi Veronique - Thank you, I am glad you enjoy what I do!